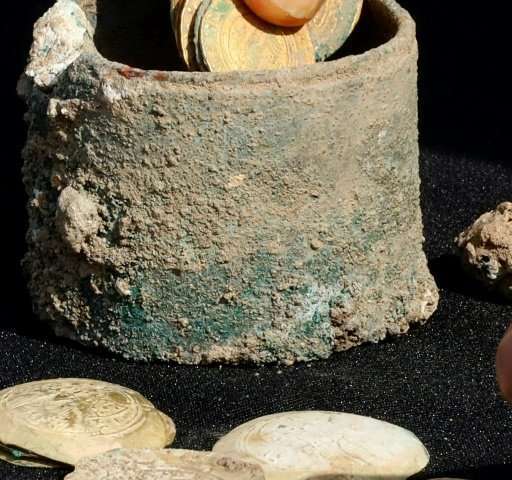 Rare gold coins and a golden earring have been discovered in the ancient Mediterranean port of Caesarea in northern Israel—possibly left and never recovered as Crusaders conquered the area 900 years ago. "It is reasonable to assume that the treasure's owner and his family perished in the massacre or were sold into slavery, and therefore were not able to retrieve their gold." 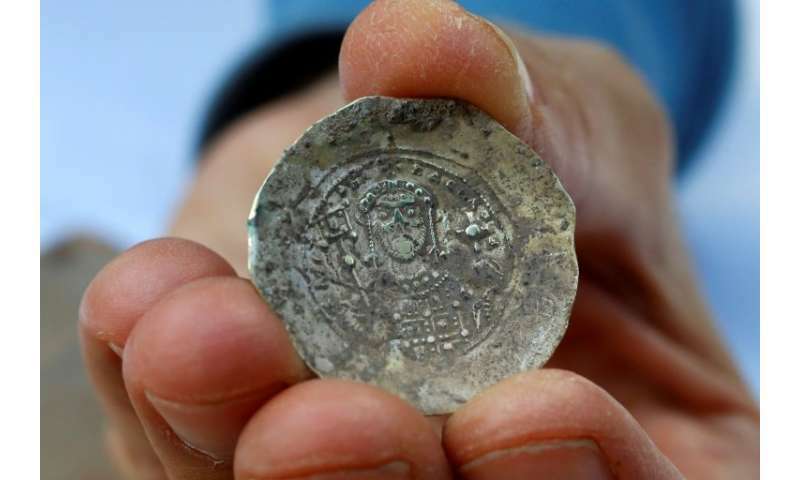 The coin shown appears to have the name of Emperor Basil ... not sure if Basil I or Basil II. Has that been confirmed? Basilaios / Basileios is the Greek word for king. It can be difficult to separate the title from the name of the person in power. Those nomenclatures were often interchangeable. Very inconsiderate of them to fail to take into account, that centuries later? The descendants of kitchen maids raped by stable boys, would be disputing such trivia.